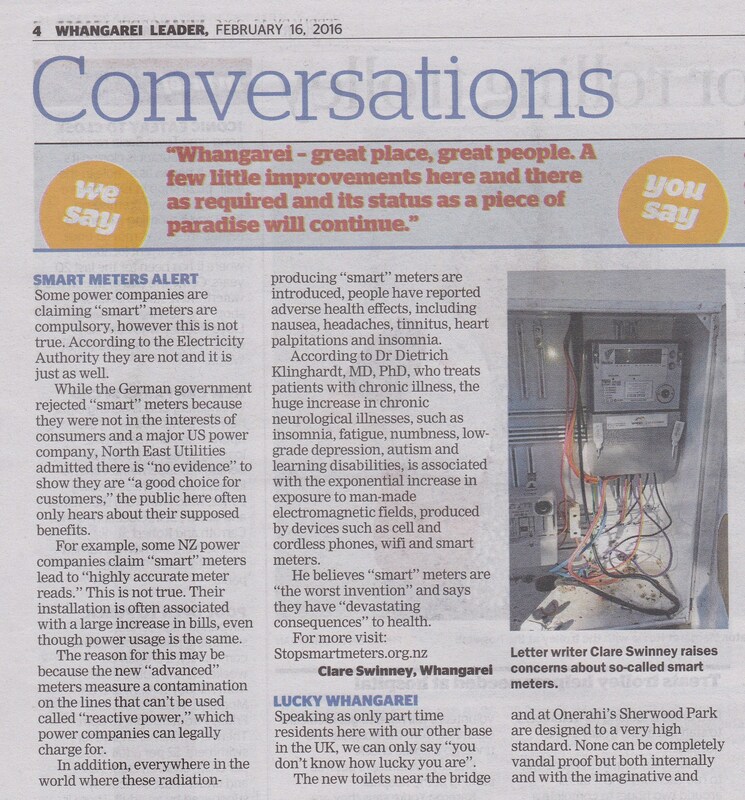 The Whangarei Leader has a smart meter letter in its February 16 2016 edition.The letter was written by Clare Swinney who has been measuring smart meter emissions at homes where they have been installed in the city. 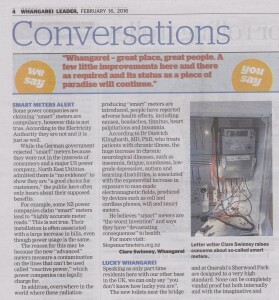 You may read the Whangarei Leader smart meter letter at the link below. NB: Click on the image to make it larger.